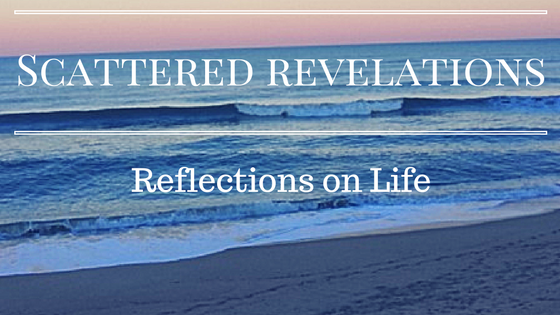 Scattered Revelations: Is it Real? All too often we distrust our own experience and the things that happen in our heads. As Unitarian Universalists, in particular, we want things that can be proven, verified by outside research. Yet faith requires trust and it requires trusting and believing in that which may not be proven. There is a place for that which can be verified, including our own experiences, and yet when we dismiss all that cannot be proven, the world becomes a much smaller and less interesting place. Also what does it say when we so readily dismiss our experiences and those things that happen in our heads? From an early age we drive imagination and creativity from our children, teaching them to distrust what happens in their heads. Yet faith and justice require imagination. In order to transform the world, we have to be able to imagine a world that does not yet exist. Faith requires trust in that which cannot be proven - like love. Hope requires a trust that may defy current circumstances, a faith that things can be different and better despite all the evidence to the contrary. So we both need to check our what happens in our heads with others, with verifiable facts and yet we also need to hold that what happens in our heads should not automatically be dismissed as unreal. We need to re-learn to trust ourselves and our own knowledge. For as Dumbledore challenges us - why does it mean it isn't real?